Apple pie. In ice cream form. With crushed ginger snaps on top. 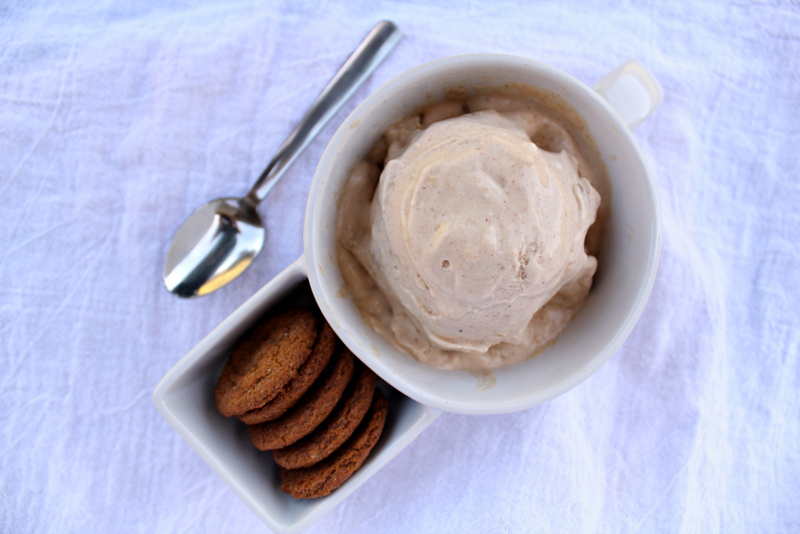 Adore this homemade ice cream. Not only do you get to control all of the ingredients you use, it just tastes that much better because you made it. In small saucepan, melt butter over medium low heat. Add apples and cook for two minutes. Stir in sugar and bring to a gentle boil over low heat. Gently boil for 2 minutes. In a blender, combine remaining ingredients until cream cheese is completely integrated with no small clumps left. Add apple mixture and pulse the blender twice. If you have an ice cream maker, follow manufacturer directions to turn mixture into frozen version. If you don’t have an ice cream maker you can place the mixture into a freezer safe container and place in the freezer. Stir vigorously every 30 minutes. Make sure to scrape the sides and smooth the entire mixture breaking up any ice chunks. Continue checking and stirring every 30 minutes until almost frozen throughout. This should take about two hours. 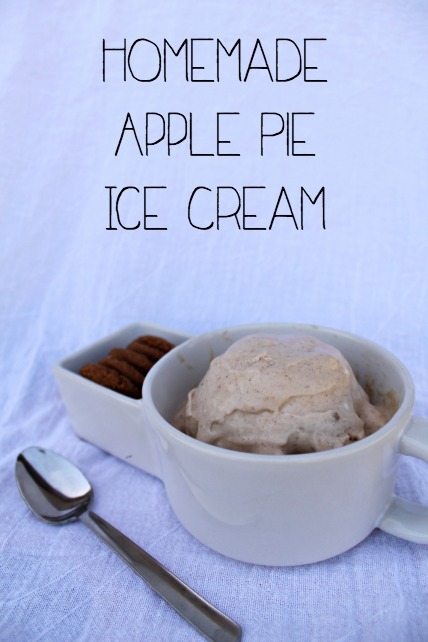 Serve Apple Pie Ice Cream with crushed ginger snap cookies, as the perfect Fall dessert!